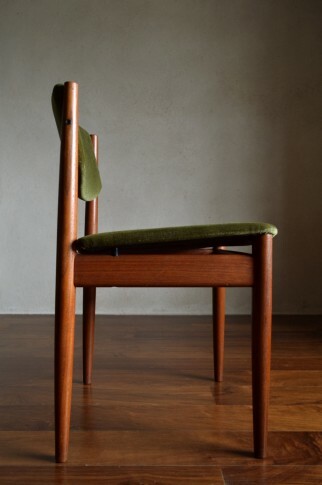 A set of four Danish teak dining chairs manufactured by France and Son. 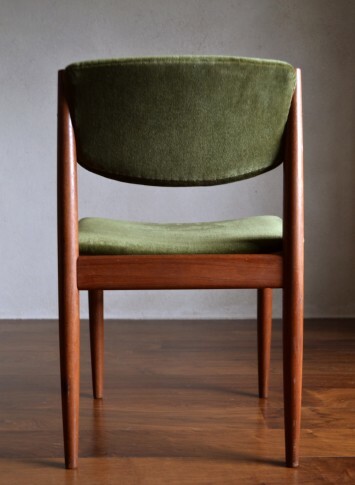 Mid-Century with a minimalistic, modern design and teak wooden frames with green upholstered seats and back support. 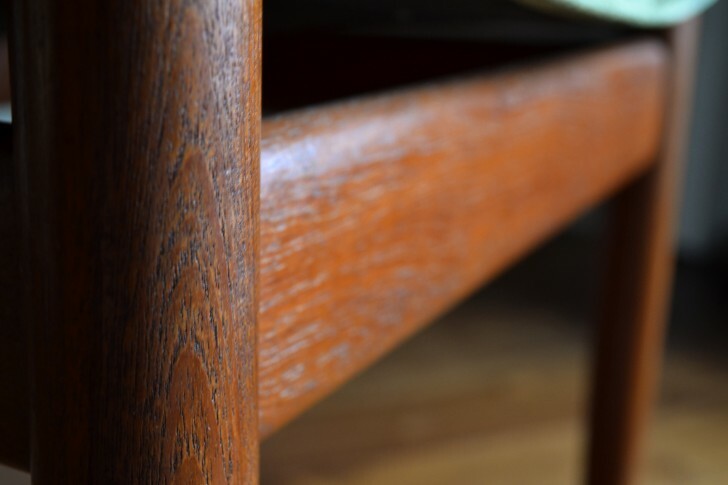 These chairs have been restored with a teak oil finish which compliments it’s beautiful linear design and remains a statement, for any modern dining or living room. 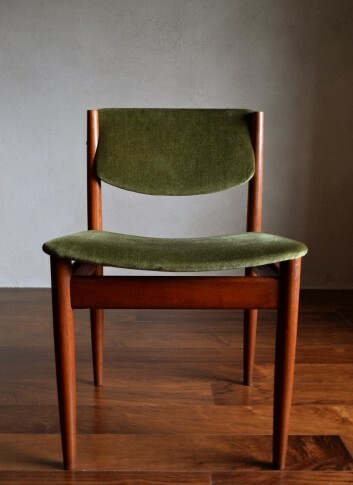 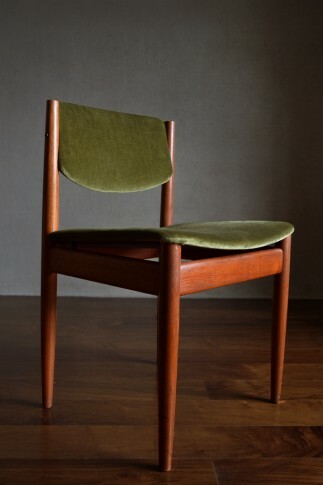 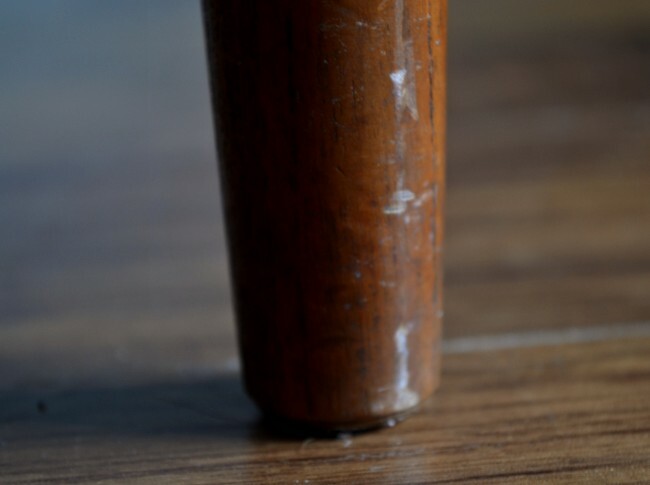 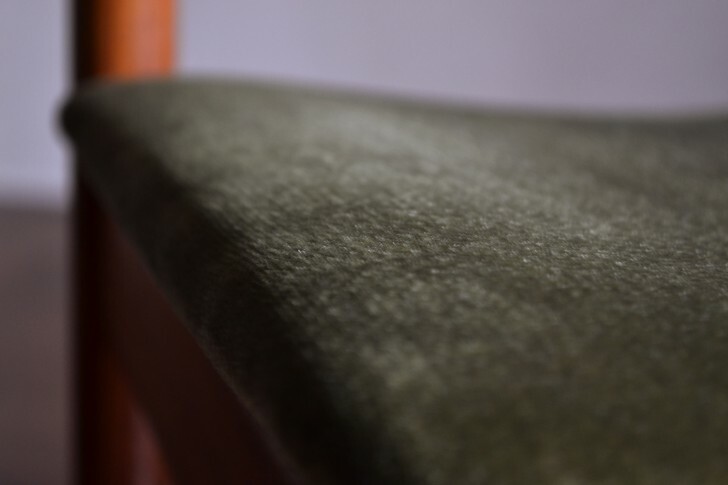 Designed by Finn Juhl for France & Søn, one of Denmark´s greatest furniture makers. 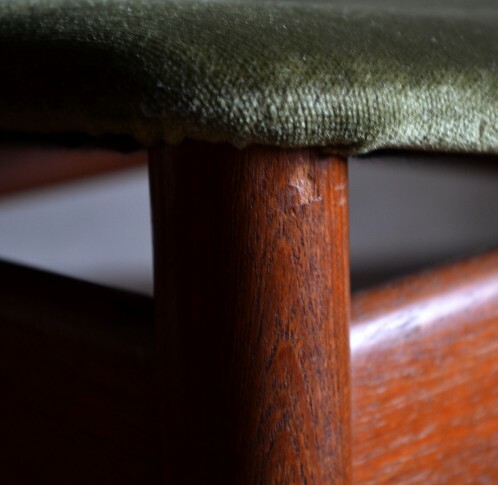 Please note that this is a vintage item and as expected, consistent with age these chairs do retain minor marks and are visible in pictures provided.